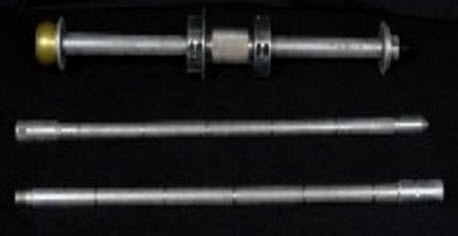 This set consists of: (1) Slide Hammer Assembly (1) 36" Lower Extension Shaft With Hardened Cone Tip (1) 36" Lower Extension Shaft With Threaded End for 72" Depth of Test (1) Heavy duty Pelican carry case with custom inserts. This set also includes all necessary tools for easy assembly and disassembly. Also included is a complete User and Maintenance Manual.